I am a physiotherapist, currently studying Master in Applied Health Sciences ( Wellness and Rehabilitation). I have extensive knowledge in health and physical education as I worked in hospital and planned exercise session for children and adults. Mandarin is my mother tongue and I have received 11 years of education for mandarin language. I have got a distinction in mandarin, Maths and sdditional maths in school. Besides that, I am a grade 8 certificate holder for piano, both practical and theory. I am experienced in educating people about health and physical education in hospital. I have educated a few person on mandarin language and gives a few piano lessons to children. 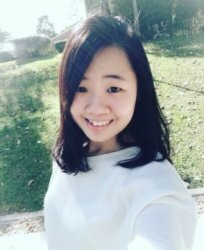 Sze XuenFrom Abbey (5/5): She is so kind and patient, and always makes sure we understand! An amazing teacher. Reply from: Sze Xuen: So sweet of you. Thank you so much, that means a lot to me. Sze XuenFrom Jocelyn (5/5): Very good teacher. My daughter became interested in Math. Big improvement. Thank you.